One of the most devastating earthquakes (7.8 on the Richter scale) in recent times has rocked a large area of the East encompassing the historic sacred areas of Nepal, Tibet (China) and villages as far away as Bhutan. As of this writing, the death toll has passed five thousand in the mountain region we call ‘the roof of the world’ –where there is little communication media but usually a closeness to the Divine. 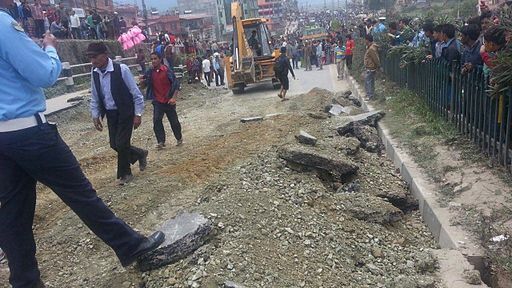 The collapse of holy shrines and buildings in the city of Kathmandu in Nepal and the disappearance of whole villages throughout the area calls for our immediate prayers for the survivors so that they can be given support through the gifts of heaven and through our distant paraphysical healing and Love. Many decades ago I [J.J. Hurtak] traveled through many of these mountain areas in a project with oriental scholar Michael Ares in search of artifacts and texts behind the great traditions of the Bon, Buddhist, Hindu and Jain traditions. Standing on one of the summits of the Himalayan mountains high above the world at 15, 16 and 17 thousand feet, one feels the unusual feeling of seeing the lower mountain peaks as forming a moving mandala below illustrating the cycle of life, death and rebirth. “Let He/Her come to aid and assist those souls suffering in cold mountain passages between worlds. Let us stand strong for the manifestation of the Glory of the Holy Spirit Shekinah (Divine Presence). Instill in those that are there, and those who ascended, Your Light and Your Warmth/Flame (Esh) that comes directly from the Higher Realms.